Hot dogs are a popular staple at sports events, barbecues and other events around North America. But have you ever wondered how they get made? 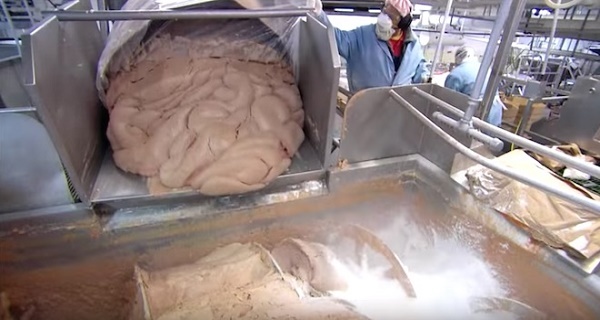 The Science Channel’s How It’s Made explores the fascinating process of what goes into making a hot dog wiener. Given hot dog wieners are made from the leftover “trimmings” of other meats, the processing isn’t always pretty to look at, but it is educational.